West Lafayette, Ind. — California’s deadly Camp Fire is now 100 percent contained, but low humidity and strong winds in the state mean that wildfires could strike again. Unfortunately, better building materials and planning can only offer so much protection, says a Purdue University natural hazards engineering expert. Most Camp Fire damage was concentrated on buildings with wooden frames and flammable roof material. To delay damage, Ramirez says, the frames should be substituted with concrete reinforced by steel, and the roofs with clay tiles. The type of windows is also important, as single-pane windows are vulnerable to glass breakage due to high temperatures. A defensible space adds extra protection. 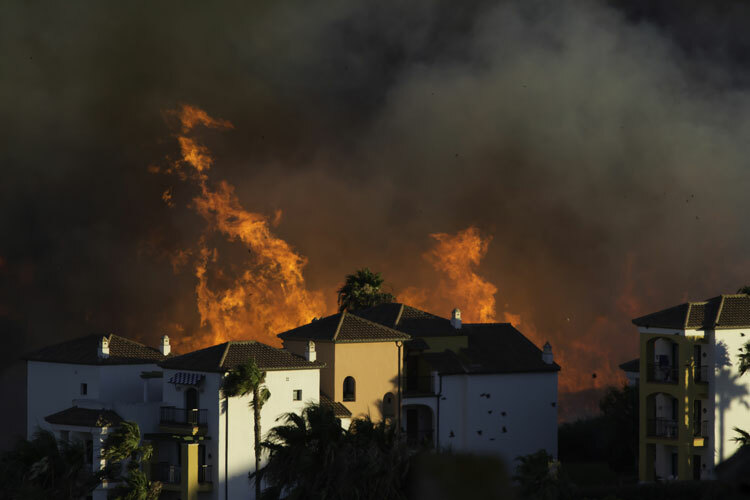 Buildings in these regions should be farther apart from each other – since human activity in highly populated areas increases risk of fires – and as far away as possible from wooded areas or shrubbery. When fire reaches a reinforced concrete structure, the heat has to first cause the concrete to separate and fall off, exposing steel. Then the steel eventually melts and the structure can potentially collapse. Despite its shortcomings, reinforced concrete combined with a defensible space could still buy time for people to evacuate along identified routes. Cities should also evaluate power distribution, such as risk of a transformer spark initiating a fire, and further educate residents on preventive measures in a dry environment.